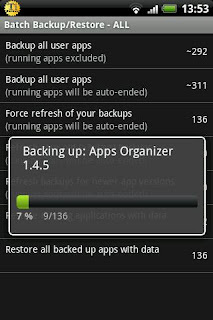 This tutorial is dedicated to those that wanna backup their apps on their android phones but dont know how to go about it. I'll teach you how to create a copy of your phone with an android app called Titanium backup for android phones. 2. Your battery must be above 50%, it'll be ok if your battery is good. If you have what is listed above, you can continue with the below procedures. Before anything, Download Titanium backup here. it experiences any problem with root, it'll tell you. Tap the "Batch" button in the upper-right corner (it looks like a little checkbox). 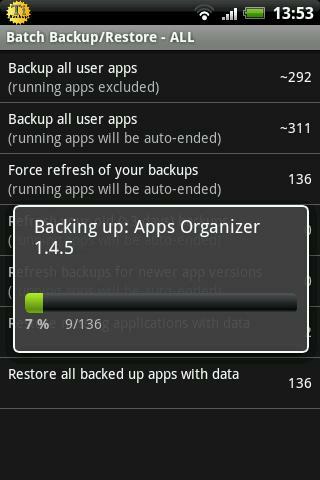 and look for "Backup All User Apps." Tap the "Run" button. This will back-up any apps you've downloaded from the Play Store, and their data. (You can try backing up your system data as well, but I find out that this usually doesn't work very well). Wait for it to complete backup process. And Finally, after Success, your phone is fully backed up and you don't have to worry anymore as you can always go back on this if you miss any step.